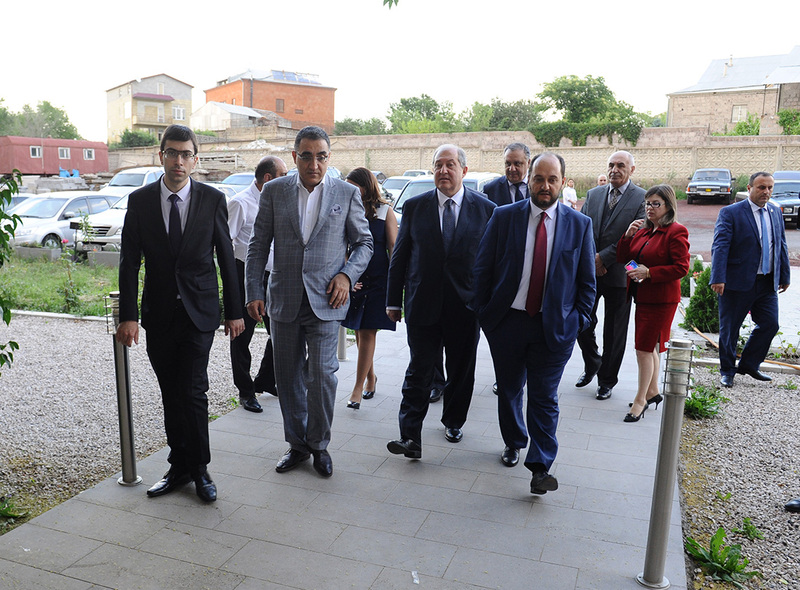 Today, at the Armenian-Russian (Slavic) University President Armen Sarkissian attended “I will be Ambassador” annual event of the “Teach, Armenia” educational foundation and made congratulatory remarks. 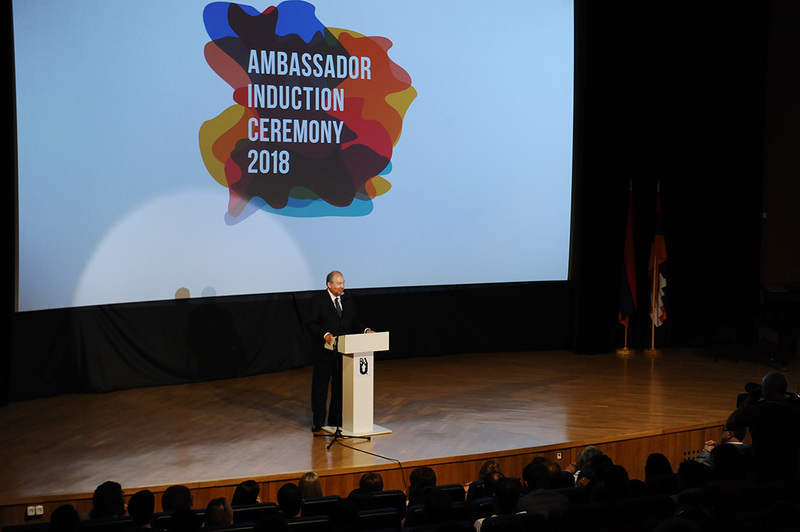 The President expressed satisfaction for the opportunity to be at the Armenian-Russian University, which is one of the newest universities of Armenia, and to salute the “Teach, Armenia” initiative. “Speaking about a modern country, we unavoidably have to think and realize that modern country means modern education. Speaking about a strong and developed Armenia, we inevitably conclude that first and foremost it is about modern and advanced education. 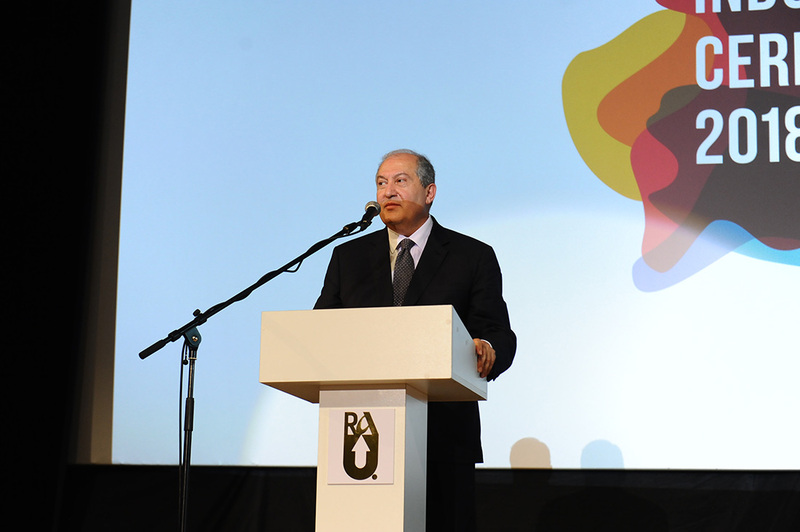 And in the 21st century Armenia will not be able to have new programs, a new, bright future and new undertakings unless we have that basis which is called professionals, well-educated and dedicated citizens,” the President of Armenia said. According to Armen Sarkissian, talents in science, arts, and sports are living not only in Yerevan, downtown Yerevan, but also in the villages, towns and very often in the remote areas. 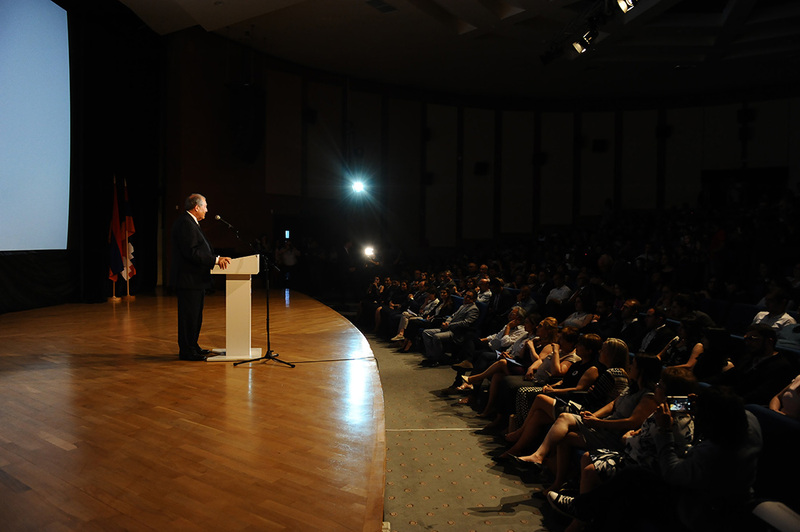 “At this point, “Teach, Armenia” carries out a very important mission of bringing education to distant corners, educating gifted kids, who, unfortunately at this moment do not have that opportunity,” the President underscored. He expressed gratitude and congratulated the authors of this initiative and the participants on their excellent work and wished further success. “Teach, Armenia” educational foundation is implementing a two-year course of leadership development which is based on school education. The course already has 70 participants from different marzes and Artsakh in the schools which have a shortage of certain teachers. There are three generations of participants to the “Teach, Armenia” program the first of which – 14 students, have already concluded the two-year program and were awarded by the Foundation the titles of Equal Education ambassadors of “Teach, Armenia.” Today, the title of Equal Education ambassadors was awarded to another 28 participants.